If you are a user of an iPhone or an iPad, you would be pretty familiar with the fact that there comes a need of recording the screen activity quite often. There may be a number of different reasons behind recording your iPhone’s screen. You might want to do it for making some kind of tutorials, for recording some streaming videos, for recording video calls with your loved ones or for gameplay only. There are a few applications that allow us to record the activity on our iPhone’s screen. iPhone Screen Recorder is one of these apps that come in very handy when you want to record your iPhone/iPad screen. 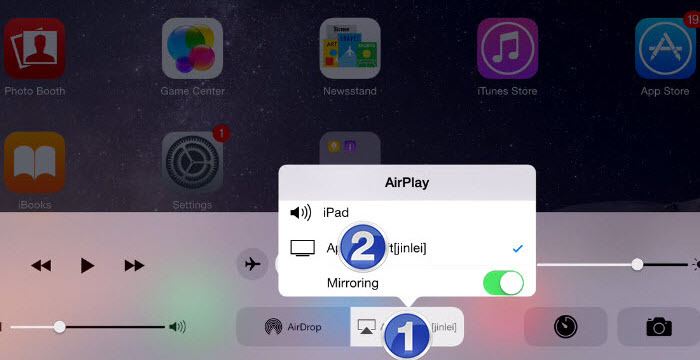 It’s a computer software (Win/Mac) that has the feature of connecting wirelessly to your iPhone using AirPlay. After the iPhone is connected to your PC, it shows you a mirror of your iOS display on your computer screen. The detailed review of iPhone Screen Recorder is discussed in the coming paragraphs. There are several different applications that allow you to record the activity of your mobile’s screen. 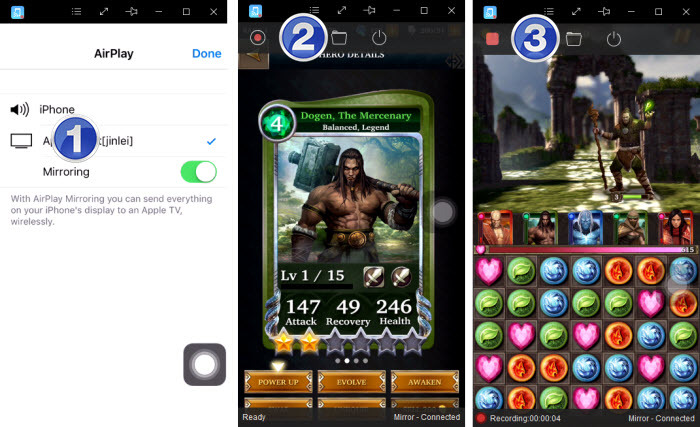 There are several tools of this kind for android powered smart phones but when it comes to iPhone, the options are very limited. Fortunately, some companies understood the despair of iPhone users and developed different applications to meet the requirement of allowing the user to record the screen activity of their iPhone or iPad. AceThinker is one of those companies. 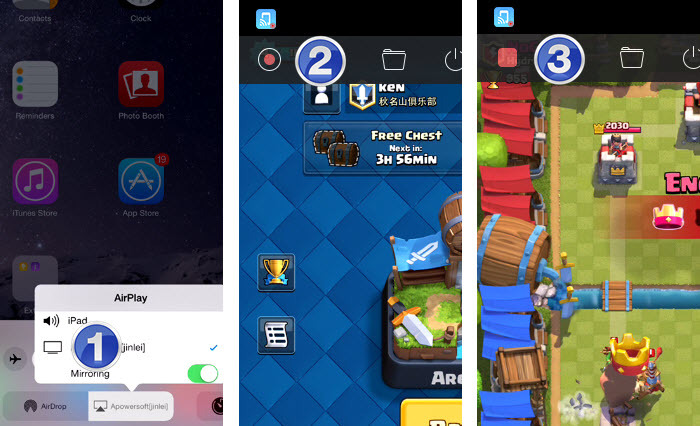 It developed an application named as iPhone Screen Recorder which allows the iPhone users to record the activity of their iPhone using a computer. If you want to use this handy tool, your devices require matching some minimum requirements. It works on iPhone 4S or later versions, which means that you cannot run it on iPhone 4. Your iPhone must also have the support for AirPlay Mirror feature. In addition to this, you need a computer installed with a WLAN network card that offers wireless connectivity. This app is designed to be used on Windows and Mac computers only. First of all, you need to download the software. You can easily do that by visiting the webpage of AceThinker iPhone Screen Recorder. Once the download is finished, you need to install the package on your PC. When you are done, you need to open up the software. When you have iPhone Screen Recorder open on your computer, you have to configure your iPhone or iPad for working with the application. In order to do that, you need to head to the control center of your iPhone or iPad. You can simply do that by swiping from your devices’ screen bottom. Once you are through, you need to select the “AirPlay” option in order to launch it on your phone. A new screen will appear and you will be asked about where you want your AirPlay screen to be played. You need to pick up the icon with your computer’s name from the list which would take you to another dialogue box saying ““Mirroring”“. Then you need to toggle it ON in order to allow the streaming of your device of the computer. Once you are done with that, you need to click on “Done” to complete the wizard. This would allow you to view all the activity of your iPhone’s screen on your PC. 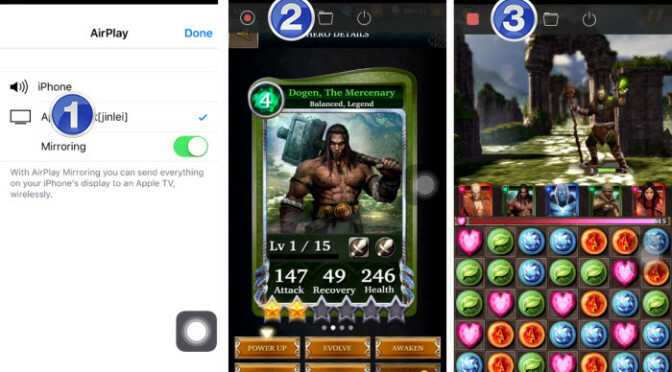 In order to record it, you can move your cursor to the top side of the application. There you will see a red colored button that would allow you to record the screen activity of your iPhone screen. You need to push it. This will start the recording along with the audio as well. When you want the device to stop recording, select “Stop Recording” option which is located at the top left side of the application in the form of a red square button. And when you push the button for stopping the recording, you need to pick up a name as well as a format in which you want to store the video file on your computer. This tool offers the facility of recording the video activity in 9 different formats. These include animated images as well. After selecting the name and format of the video, you can save it on your computer. Once you press enter, this will open up a folder that contains the recorded video file. You can easily access it using any media player of your choice. Note: this tool also works for iPad, you could check a specific guide on how to capture iPad screen. The application has a simple console which makes it very easy to use. Even someone with below average computer skills can easily install and use the software. There are no unnecessary steps involved which might have made the process a bit more complex. In addition to iPhone Recorder, there are a few other applications that are designed to do the same task, i.e. recording the screen activity of an iPhone or an iPad. Majority of these applications are designed to run on the iPhone itself. Moreover, they are a bit harder to use. On the other hand, iPhone Screen Recorder allows you to record the screen activity using a computer. This makes it more convenient and easier to record your iPhone’s screen since you are seeing the entire activity on a bigger sized screen. It is much easier and simpler to use since you can have your recorded videos in just a few simple steps. All these features make iPhone Screen Recorder much better than any other similar applications. Keeping in view the above mentioned arguments, it may be concluded that there are a few different iPhone screen recording tools available in the market but iPhone Screen Recorder is better than the rest as it provides convenience and good quality results at the same time. So if you are willing to record your iPhone’s screen activity for any reason, all you have to do is to visit AceThinker website and download the iPhone Recorder. Thanks heaps for this – doing a project currently and wondering how I was going to do this -perfect timing.